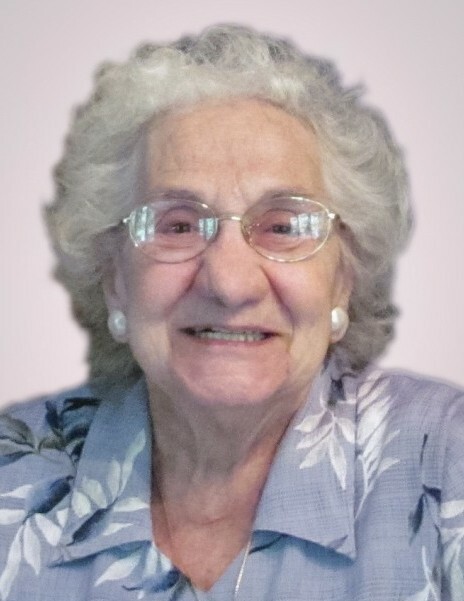 Mary (Ciolfi) Giglio, 96, passed away Wednesday, March 21, 2018 at Portland Care and Rehabilitation Center in Portland, Connecticut. She was the beloved wife of the late Vittorio Giglio. Born in Providence, she was the daughter of the late Bernardo and Anna (Fera) Ciolfi. Mary’s happy and optimistic personality made her many friends. She lovingly raised a family of four, was always available to help others, and was the devoted caregiver for her mother. Mary had a wonderful sense of adventure and loved to travel. She especially enjoyed outings to Watch Hill with her sister Ida and outings to Misquamicut with her sister Mafalda. Mary’s sense of independence led her to learn to drive when few women did. She was a fine cook and baker. Mary joined Vittorio to make a pair of tireless volunteers for church and parish school fundraising events. She is survived by her four children; Ann Giglio, Anthony Giglio and his wife Nancy Gettens, John Giglio and his wife Mary Codd, and Mary Giglio and her husband Peter Ciesielski; a brother, Bernard Ciolfi; a sister, Mafalda DiOrio; four grandchildren, Zoe Kusinitz, Gregory Giglio, Mark Giglio, and Liz Codd; and a great granddaughter, Josephine Giglio. She was the mother-in-law of the late David Kusinitz and the sister of the late Ida Esposito, Raymond Ciolfi, and Anna DiIorio. Visitation will be held Saturday Morning, April 7, 2018 from 9 – 10:15 a.m. in the MACERONI FUNERAL HOME, 1381 Smith St., North Providence followed by a Mass of Christian Burial at 11 a.m. in St. Ann Church, 200 Hawkins St., Providence. Burial will be in St. Francis Cemetery, Pawtucket. In lieu of flowers, donations in Mrs. Giglio’s memory may be made to: Alzheimer’s Association Rhode Island Chapter, 245 Waterman St. Suite 306, Providence, RI 02906-5215.